For the past 56 springs, nature enthusiasts from throughout the region have gathered on the verdant slopes of Roan Mountain for the annual Naturalists Rally. James Neves, who with Jennifer Bauer serves as co-director of the Roan Mountain Spring Naturalists Rally, said that one change for this year’s rally is the date the event is being held. Instead of being held in May, this year’s rally will be held the last weekend of April. 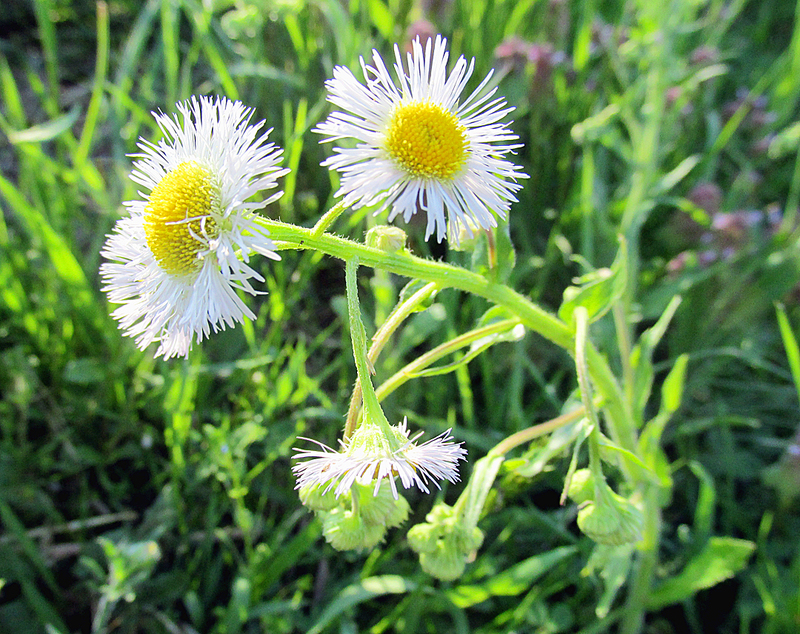 Daisy Fleabane will be among the many blooming wildflowers to welcome rally attendees. This year’s Roan Mountain Spring Naturalists Rally will be held Friday, April 25, through Sunday, April 27. Neves said this year’s speakers for the annual event are Daniel C. Dourson and Bob Hale. Dourson will be providing a treasury of little-known facts about snails that inhabit mountains like the Roan. For instance, did you know that some snails are covered in long “hair-like” structures or that the slime of some snails will fluoresce under ultra-violet light? Or were you aware that slime from some snails is used to treat skin disorders? Join Dourson, a wildlife biologist, naturalist and natural history author, as he shares his passion for the shelled creatures known as “land snails.” Dourson, who has been studying land snails in the Southern Appalachians for nearly 20 years, recently described four new species of land snails from the area, including the globally endangered Roan Mountain endemic, Roan Covert, or Fumonelix roanensis. His program will also let his audience learn of the intricate delicate features that separate these creatures and find out what love darts, ice thorns and tree crotches have to do with these organisms. Attendees can also join him in the field on Saturday afternoon for an exciting field trip to search for these jewels of the forest leaf litter. 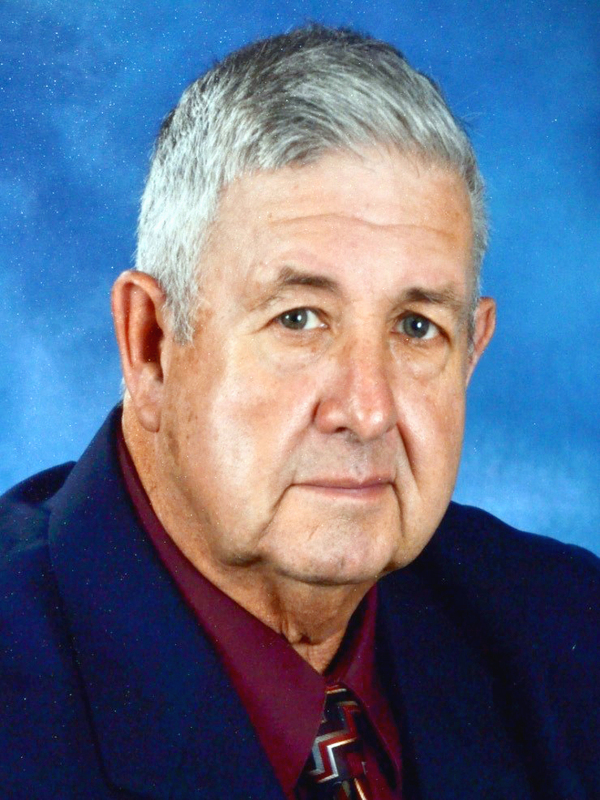 Bob Hale will present the Saturday evening program on “Spring Wildflowers and Native Orchids.” Hale’s interest in wildflowers began with making slides of spring wildflowers in the late 1960s. This interest expanded to photographing wildflowers throughout the growing season. While working as a chemist at Eastman Chemical Company for 33 years, he was a member of the Eastman Camera Club for more than 25 years. He served as president, held several other offices with the club and taught numerous photography classes during that time. Hale has used SLR cameras for many years, taking both slides and negatives for prints. With the coming of the digital age, he switched to that technology in 2004. His program will feature a sampling of his images of wildflowers including a special focus on numerous native orchids. This collection of images was taken from many nearby locations in the Southern Appalachians including Grayson Highlands, the Blue Ridge Parkway, Unaka Mountain, Buffalo Mountain, Cherokee National Forest, the Appalachian Trail, middle Tennessee and the Great Smoky Mountains National Park. Hale is also an avid gardener, growing a wide variety of annuals, perennials, spring bulbs and shrubs. He has developed a strong interest in daylilies and has been growing, hybridizing and selling them for more than 40 years. The Friday and Saturday program will be presented at 7:30 p.m. after the 6:30 p.m. dinners that will be catered by City Market of Elizabethton. The Friday menu includes a choice of breaded or grilled chicken, vegetable selection, salad, bread, dessert and drink. The Saturday menu includes a choice of roast pork or vegetable lasagna, vegetable selection, salad, bread, dessert and drink. Each meal costs $9 for adults and $5 for children 12 and under. Pre-paid reservations are required and must be received by Tuesday, April 22. After the programs on Friday and Saturday, two late evening programs are scheduled at 9 .m. Local naturalist Larry McDaniel will conduct a “Moth Party” on Friday to look for these nocturnal winged wonders. Gary Henson, director of the Harry D. Powell Observatory and a professor in the Department of Physics, Astronomy and Geology at East Tennessee State University, will conduct a viewing of the summer skies from the nearby Miller Homestead on Saturday. Neves said a range of people are crucial to the success of the annual spring rally. Neves noted that Meg Guy, another park ranger, will be leading a new hike that will highlight basic tree identification. In addition, former Park Manager Pat Gagan will lead a Wildlife Walk for Everybody. This walk will allow participants with limited mobility to enjoy the natural beauty at Roan Mountain. 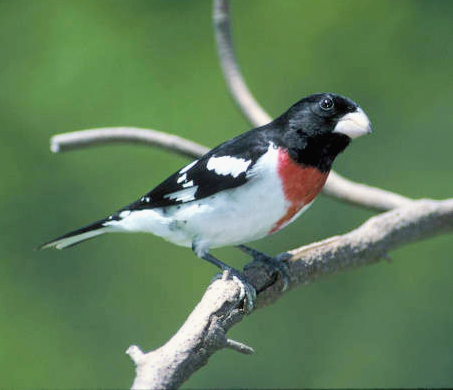 Rose-breasted Grosbeaks will likely be among the colorful birds present for this year’s rally. Neves said the rally also offers some early morning field trips and longer hikes for those who are a bit more adventurous. Although the hikes have a particular focus, there’s a surprising amount of overlap. Neves notes that the Roan Mountain State Park Campground is currently closed while updates and improvements are completed. The work is expected to be finished by mid-May. Evening programs and the lunch-time workshops will take place in the Roan Mountain State Park’s Conference Center, while all field trips will begin at the field located left of the entrance to the park’s cabins. Because of the continued support of the Friends of Roan Mountain, Neves said the Naturalists Rallies have the resources they need to prosper and grow. He noted that the Friends of Roan Mountain also provides support for research and restoration projects on the Roan. • Nature Photography with Jerry Greer. Participants will meet at 6 a.m. at Carver’s Gap. • Early Birds at Hampton Creek Cove with members of the Lee and Lois Herndon Chapter of Tennessee Ornithological Society. Participants will meet at the RMSP Welcome Center at 6:30 a.m.
• Jones Falls Hike with Marty Silver. • Birds of Roan Mountain with members of the Herndon Chapter of TOS. • River and High Mountain Wildflowers with Guy Mauldin. 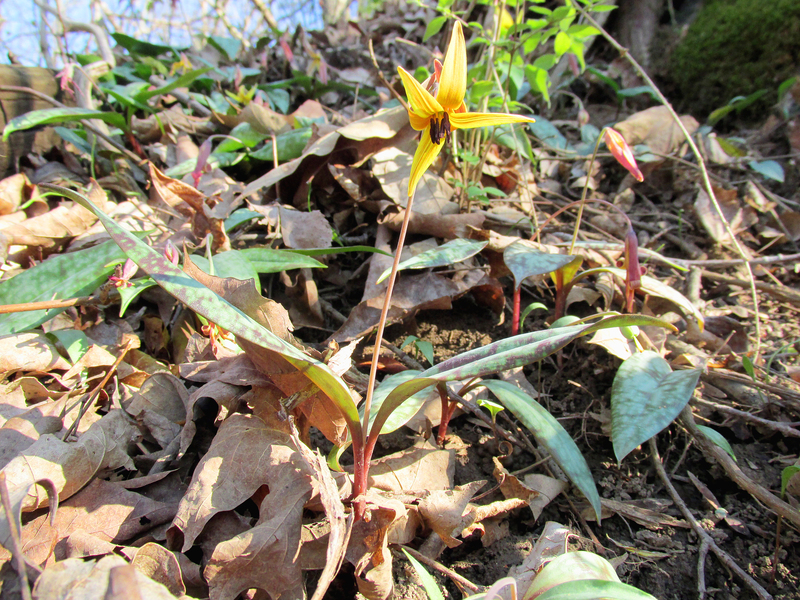 Wildflowers, such as this Trout Lily, provided the original inspiration for the annual Spring Rally. • Nature Photography with Jerry Greer. • Tree Identification Basics with Meg Guy. • Birding for Beginners with Joe McGuiness. A lunchtime workshop with Mick Whitelaw and members of the East Tennessee State University Department of Geology and Science Club on Fossil Casting for All aAges will be held from 11 a.m. to 1:30 p.m.
A lunch break will provide an interval between hikes. 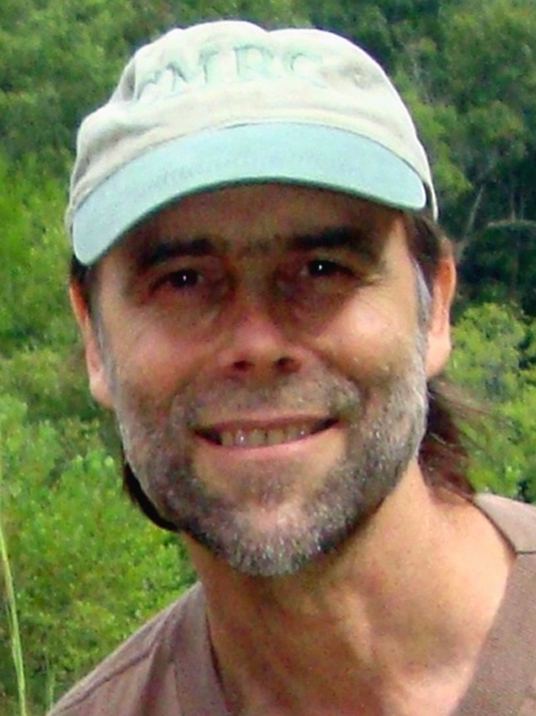 Marty Silver will present a program on dragonflies at 12:30 p.m.
• Land Snails and Invertebrates with Dan Dourson. • Nature Walk for Everybody with Pat Gagan. • Wildflowers and Trees of the Twin Springs/Hackline Cross Trail with David Hall. • Reptiles and Amphibians of the Roan with Jacob Young. • Baa-tany Goat Project and Roan’s Unique Alder Balds with Jamey Donaldson. • Aquatic Insects as Water Quality Indicators with Gary Barrigar. • Butterflies and Insects with Larry McDaniel. • Birds of Hampton Creek Cove at 8:30 a.m. with James Neves. 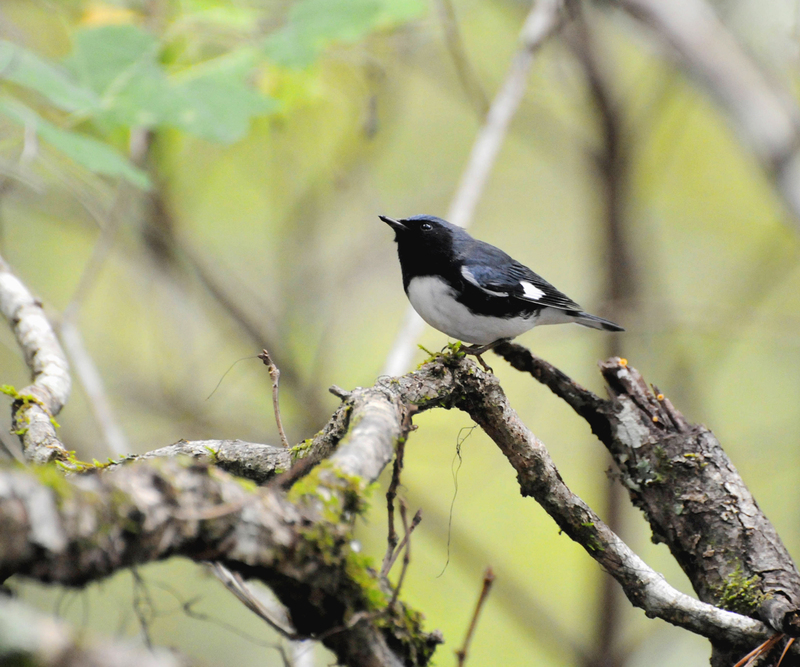 Black-throated Blue Warblers are among the birds than can often be found at Hampton Creek Cove during a Spring Rally. • Doe River Gorge Wildflowers and Geology at 8:30 a.m. with Gabrielle Ziger and Mick Whitelaw. This is an all-day hike. Bring water, lunch and rain gear. • Salamanders with Dale Ledford at 2 p.m.
• Butterflies and Insects with Don Holt at 2 p.m.
All hikes, unless otherwise noted, will depart from the field on the left of the cabin area entrance. For more information on this year’s rally, visit http://www.friendsofroanmtn.org or http://www.facebook.com/FriendsOfRoanMountain. Barbara and Jerry Lake, Hampton, returned home from a recent trip to Vidalia, La., and Natchez, Miss., to find three nests being built. Their bluebirds, Blossom and Max, are occupants of a box in the front yard. Carolina Chickadees are in the box at the edge of the woods beside their screened porch. “I haven’t yet seen the birds in the nest by the driveway, but the nest itself looks like the chickadee’s nest,” Barbara wrote in an email. They have cameras installed in several of the boxes so they can monitor the progress of their nesting birds. “Both the porch box and driveway box are hooked to the TV on the porch so I have to switch wires to watch them,” she explained. The Lakes are also awaiting the arrival of hummingbirds. “I put up a hummingbird feeder before we left, but so far I haven’t seen a hummer,” Barbara wrote. The couple enjoyed a fun trip, attending the Roadtrek Rally in their Roadtrek motorhome. Brookie and Jean Potter saw a Ruby-throated Hummingbird at their feeders on Wednesday, April 9, at their home near Wilbur Lake in Carter County. Marlene Mountain, a Facebook friend, informed me that she saw her first Ruby-throated Hummingbird while looking out the window at her home on Sunday, April 6, at 1:28 p.m. She is also still hosting Dark-eyed Juncos at her feeders. Jim and Wanda Lane called me this past week to ask me if I knew about the different Great Blue Herons in various Elizabethton and Carter County locations. I thanked them for letting my know about them, and let them know that I have visited the two Elizabethton locations on Blevins Road and behind the airport. I’ve enjoyed monitoring these nests before the leaves bud on the trees. Here at home on Simerly Creek Road, I saw my first Ruby-throated Hummingbird of spring on Friday, April 11. I’ve also seen a variety of other migrating birds, but I think I will leave them for next week’s post. It’s been a great time to get outdoors this past week. I hope everyone is seeing some fantastic birds at home and at their favorite birding spots. Thanks for reading! It’s easy to post comments on my blog at ourfinefeatheredfriends.wordpress.com. You can also reach me on Facebook or send email to ahoodedwarbler@aol.com. Please share the link to the blog with others who might be interested in the topic of birds and birding in Northeast Tennessee. This entry was posted in Birding, Birds, Friends of Roan Mountain, Roan Mountain Spring Naturalists Rally and tagged birds, Bob Hale, Dan Dourson, Daniel C. Dourson, Dragonflies, Elizabethton Star, Erwin Record, Friends of Roan Mountain, Land snails, Roan Mountain, Roan Mountain Spring Naturalists Rally, Ruby-throated Hummingbird, Salamanders, Spring, Wildflowers on April 13, 2014 by Bryan Stevens.